This Nexera TV stand is sure to fit any floor plan. This black free standing TV stand can easily accommodate 51-inch to 60-inch televisions. Gaming consoles, movies, and even speakers have a home in this piece. Designed and made in Canada with eco-friendly and CARB/EPP/SCS/FSC Certified materials. Ships in 24-48H from order date. Assembly required. This Nexera TV stand is sure to fit right in regardless of your floor space. Easily display a 31-inch to 40-inch television with this black free standing TV stand. Has the ability to hold gaming consoles, movies, and even speakers. Regardless of your floor space, this Nexera TV stand is sure to fit right in. 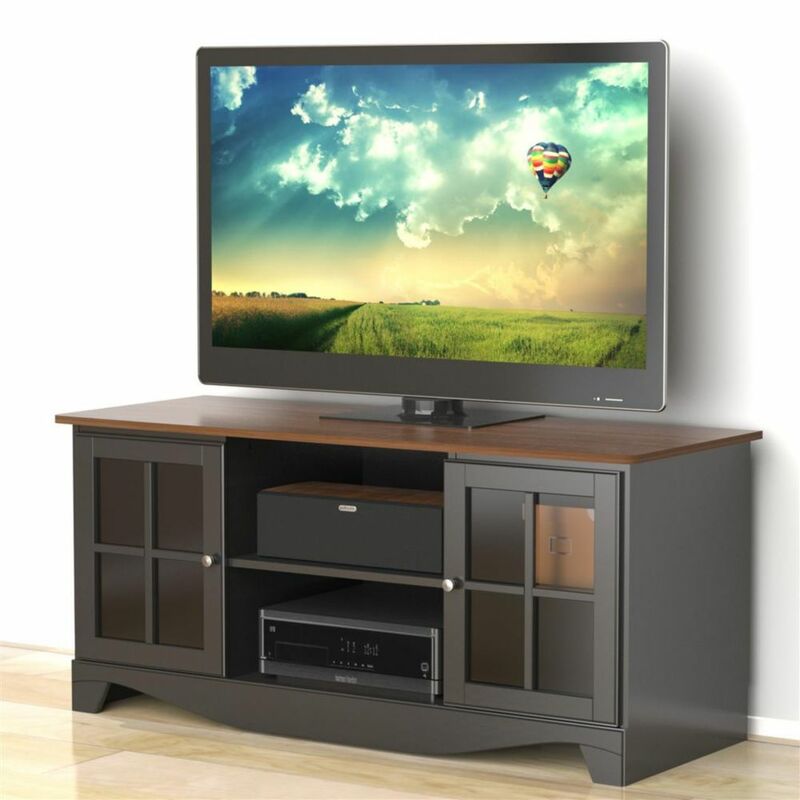 This black free standing TV stand can easily accommodate 31-inch to 40-inch televisions. Store all your tech gadgets in this handy TV stand. The Damask entertainment collection from Nexera is distinguished by its clean modern lines, high-end designer look and contrasting volumes. The Damask 72-inch TV stand features 2 storage drawers and open shelf space for your components and decorative pieces. This Nexera TV stand is a great option, regardless of your floor space. Easily display a 51-inch to 60-inch television with this espresso free standing TV stand. Use this piece as a handy place to store movies, gaming consoles, and even speakers. Pinnacle 53.88-inch x 24.63-inch x 21.38-inch TV Stand in Black This Nexera TV stand is sure to fit any floor plan. This black free standing TV stand can easily accommodate 51-inch to 60-inch televisions. Gaming consoles, movies, and even speakers have a home in this piece. Pinnacle 53.88-inch x 24.63-inch x 21.38-inch TV Stand in Black is rated 5.0 out of 5 by 2. Rated 5 out of 5 by Chris613 from Looks great! Bought a couple months ago and although it took about 90 minutes to put together it looks great! Highly reccomended!